Award-winning engineering company EC-OG has signed up to test their cutting-edge Subsea Power Hub (SPH) at the European Marine Energy Centre (EMEC). Sea trials of EC-OG’s first full-scale SPH system will be carried out at EMEC’s Shapinsay Sound test site, with installation to take place this month. The imminent test programme will be a subsea industry first with the combination of a marine energy converter coupled directly to a lithium based energy storage system. Testing of this hybrid system will validate the technical capability needed to meet a number of immediate high value subsea power applications, thus fundamentally enhancing the value proposition associated with ocean currents. Scottish Enterprise have been instrumental in the continued success of EC-OG, facilitating significant funding for the SPH development programme and supporting the business throughout the rapid growth journey. EC-OG were recently named Best Small Company at the Subsea UK Awards 2017. “We’re delighted to have EC-OG demonstrating their innovative power technology at EMEC. This is an exciting project for us building closer links with the wealth of offshore engineering experience evident in the North of Scotland. 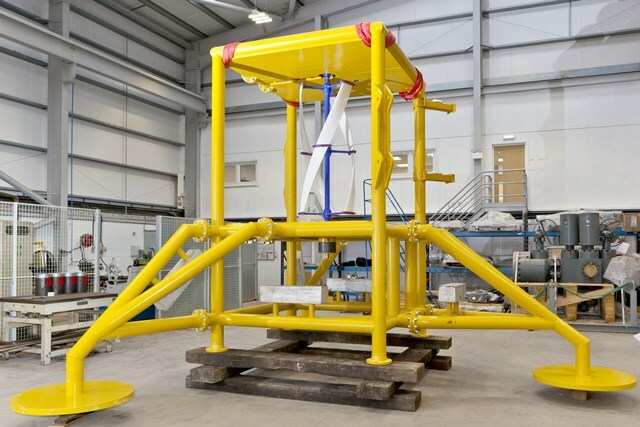 “We’re very excited to be testing our Subsea Power Hub at EMEC, and thank their professional team for the guidance and support which has helped us reach our full-scale testing programme ahead of schedule. We must also thank Scottish Enterprise, without whom this would not have been possible, providing invaluable business support and funding. “The SPH offers a step-change in reducing the cost of providing reliable electrical power subsea. With its unique configuration, energy storage and ability to operate with very low ocean currents a number of new markets become available.